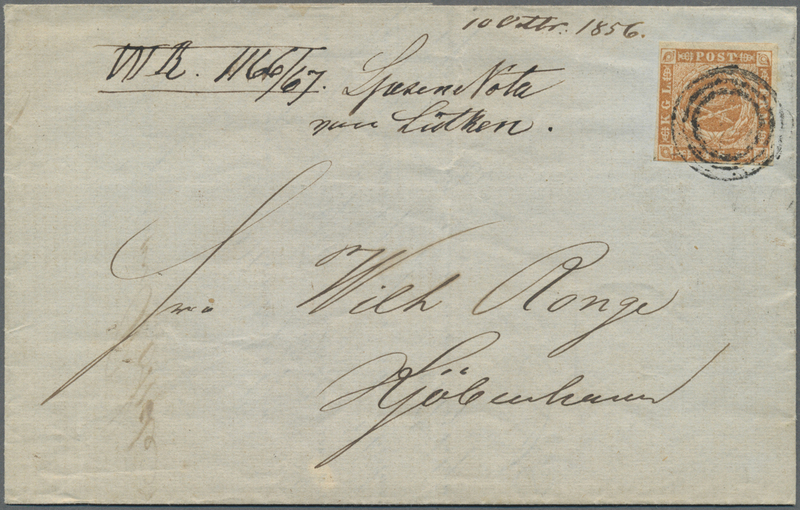 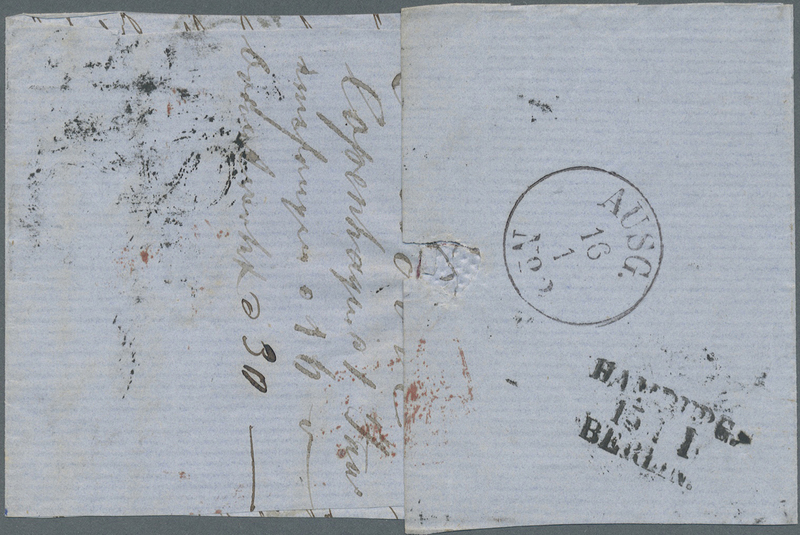 15336 Brief (cover) Briefstück (on piece) 7 (6) 1858 4s. 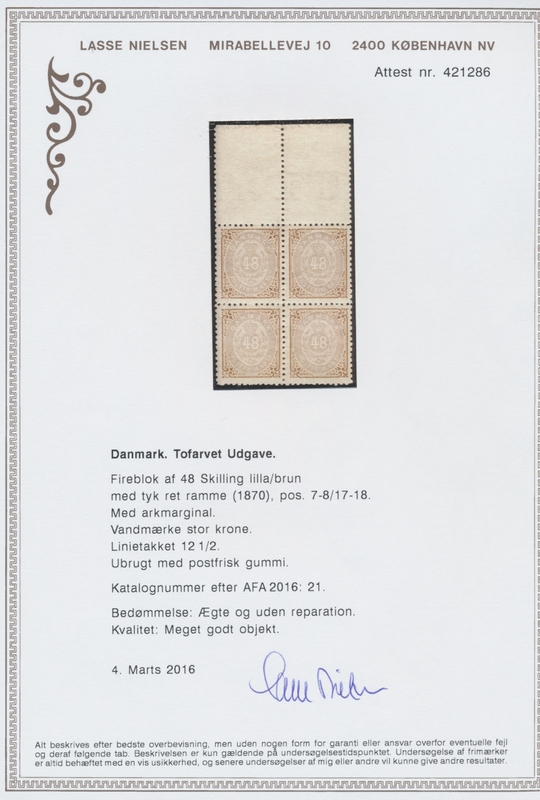 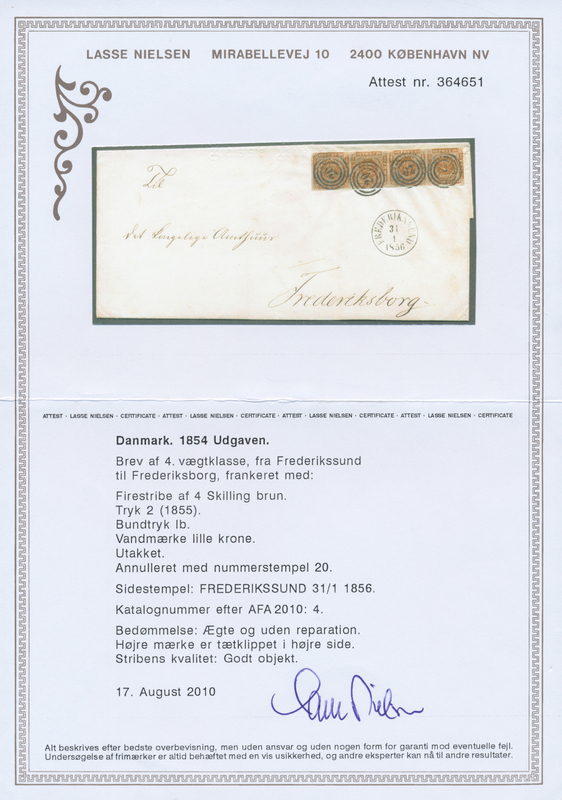 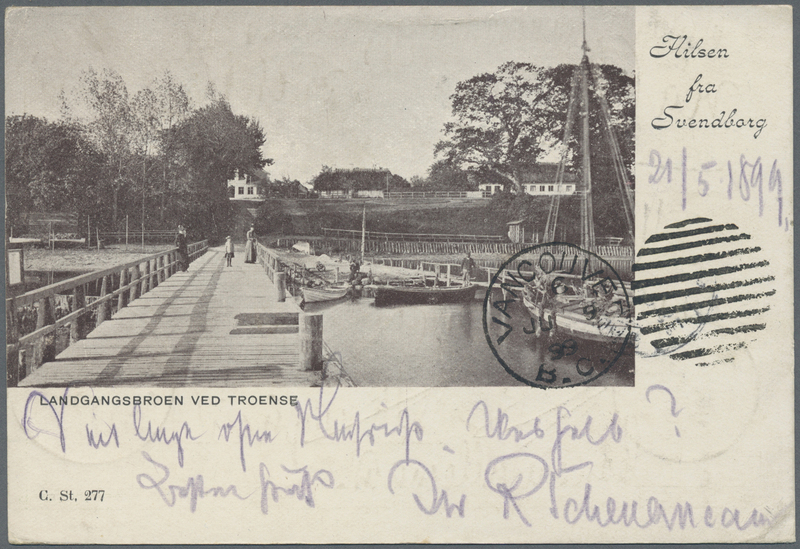 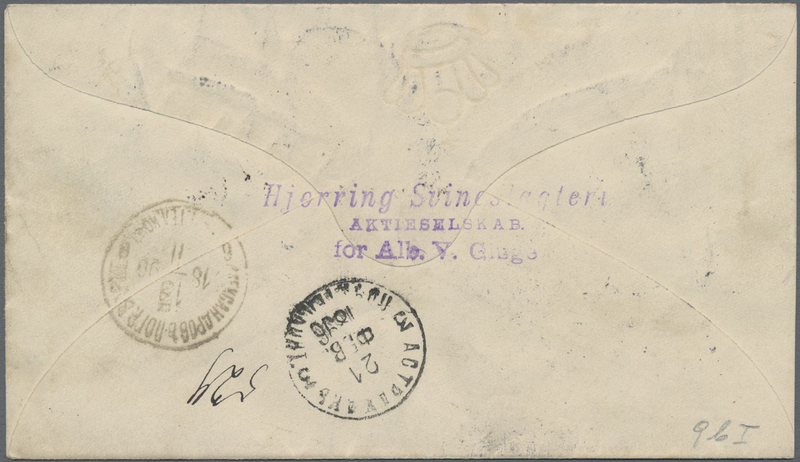 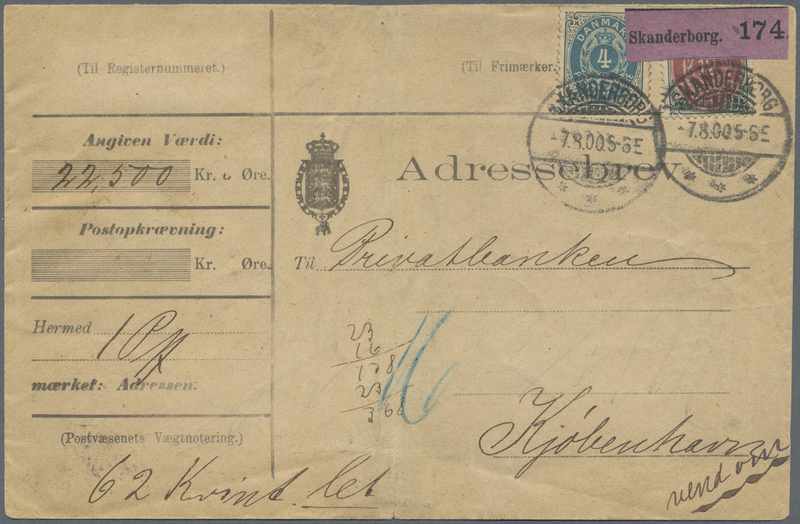 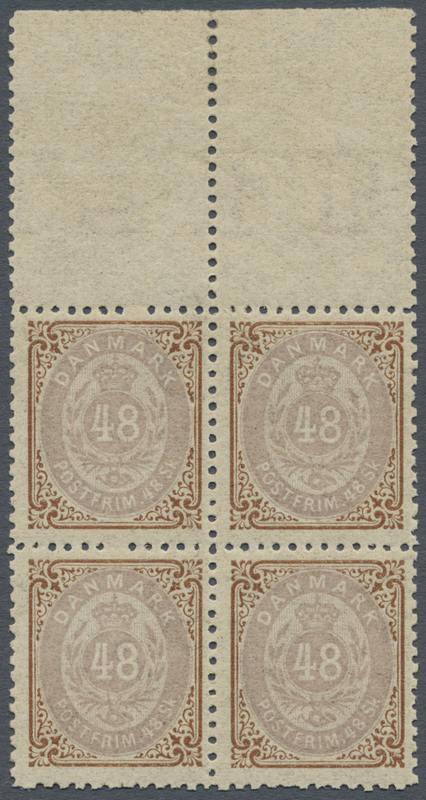 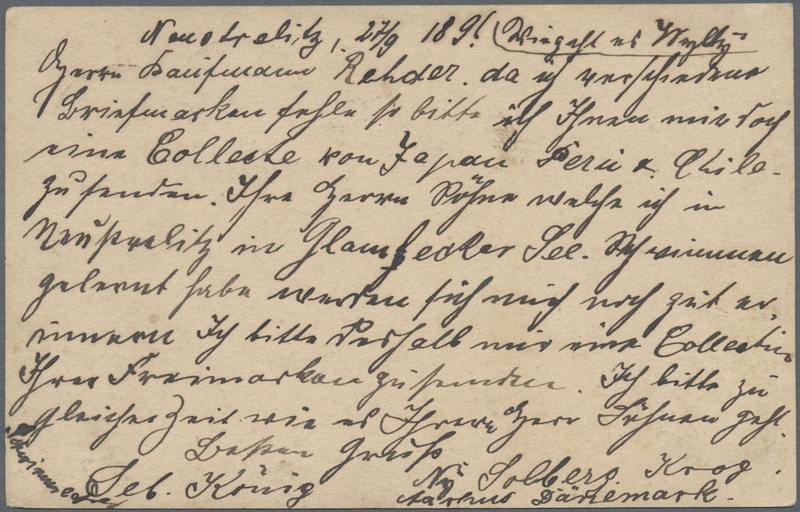 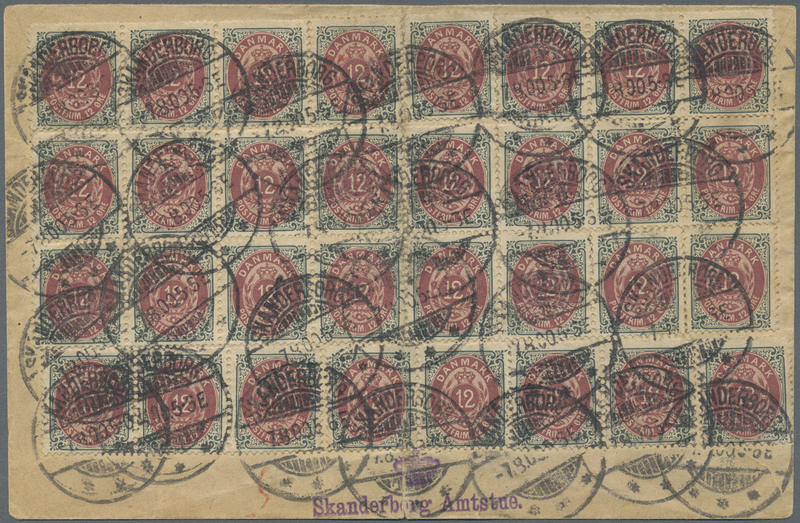 orange-brown TWO VERTICAL STRIPES OF THREE, used on part cover (front only) from Øster Svendstrup (northern Denmark) to Norway via Svinesund, all tied by numeral "240", with indistinct strike of 28. 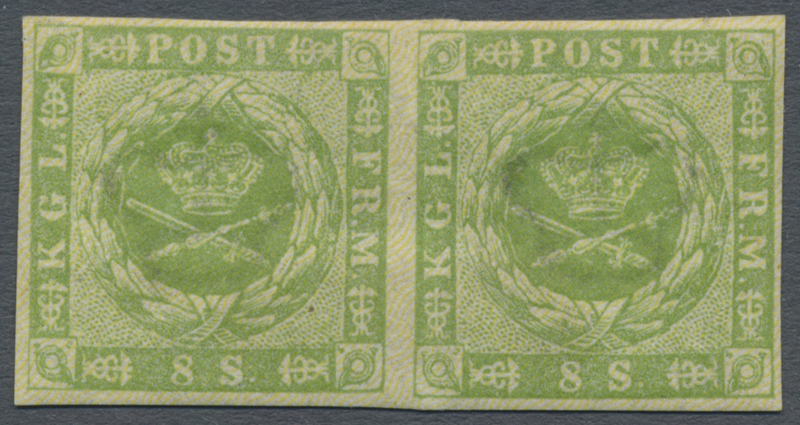 Jan. transit cds and '2/2 1863' Svinesund transit cds alongside. 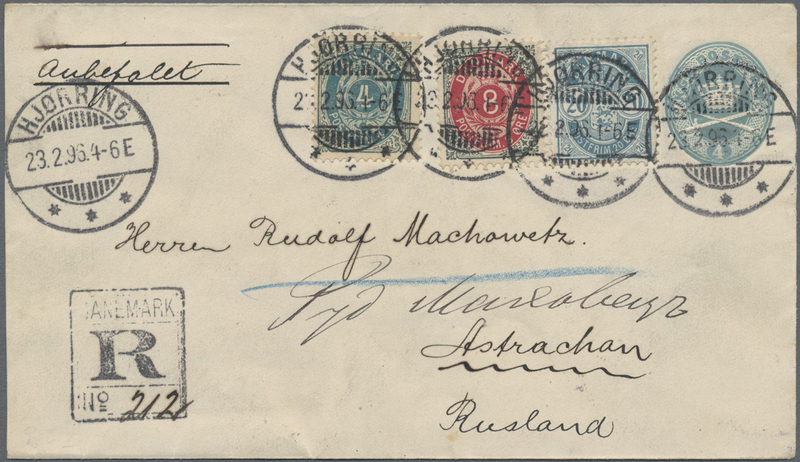 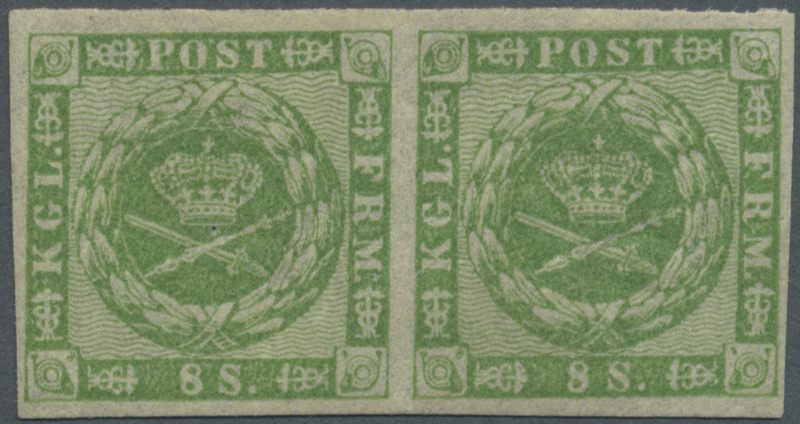 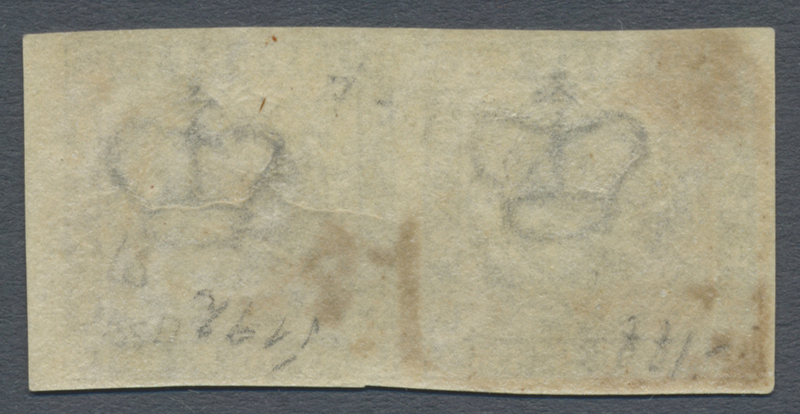 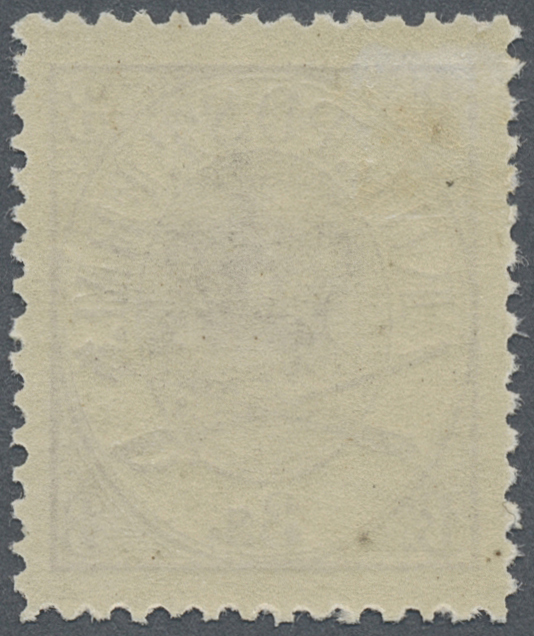 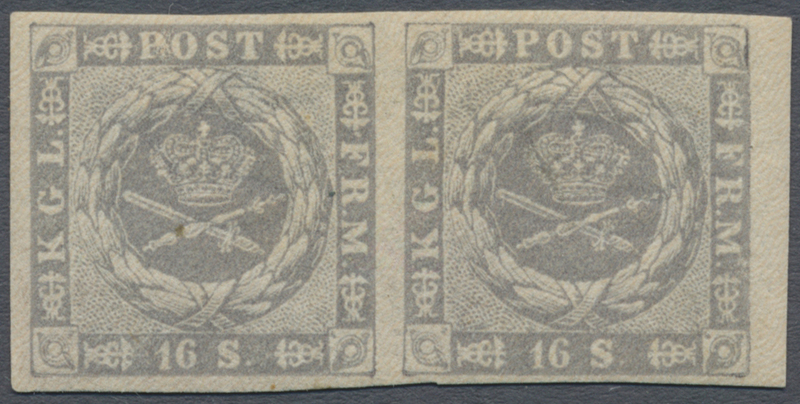 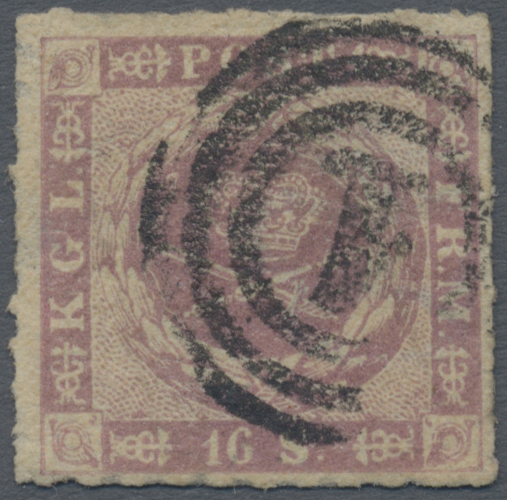 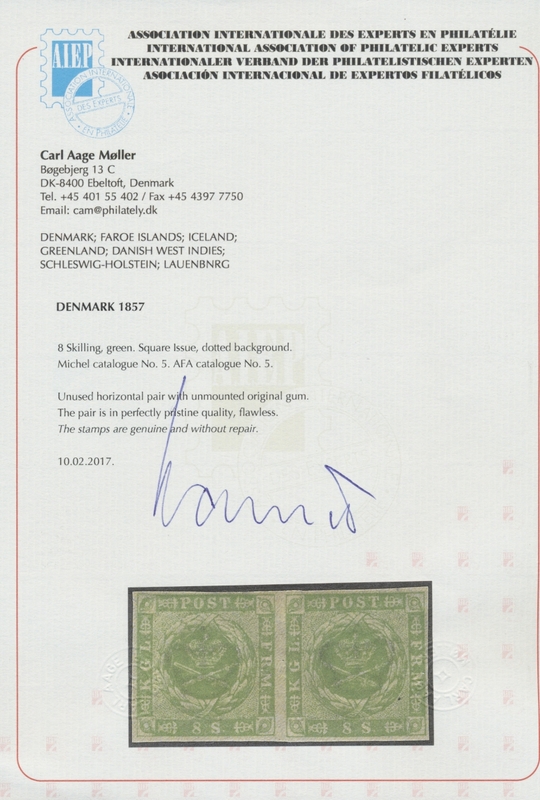 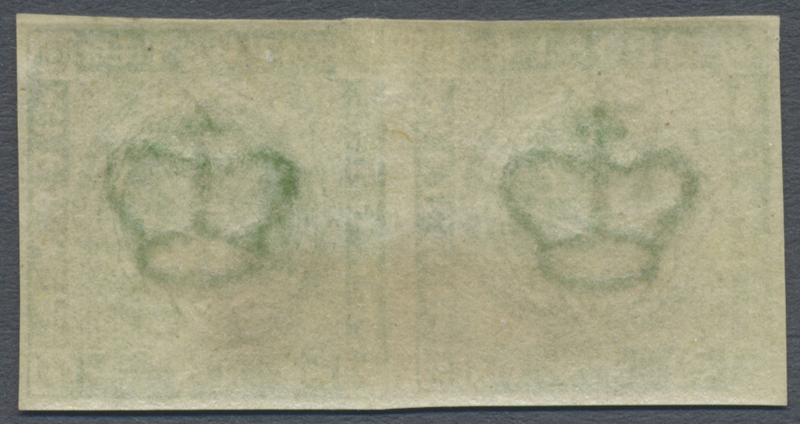 Two stamps with complete to wide margins all round, others with small to medium marginal faults. 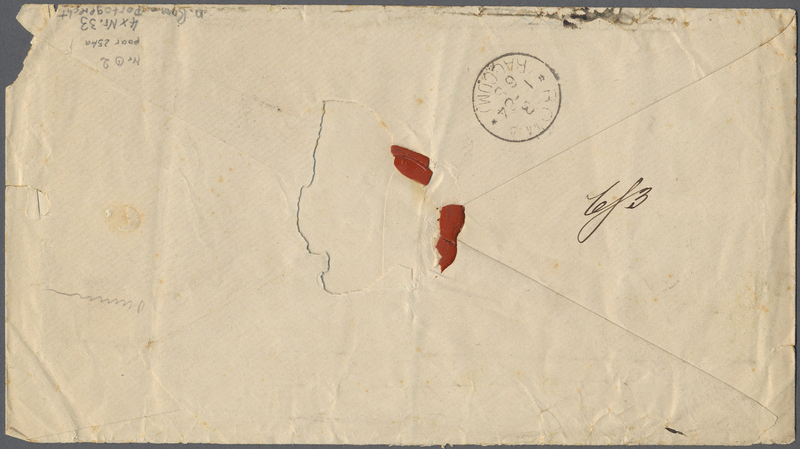 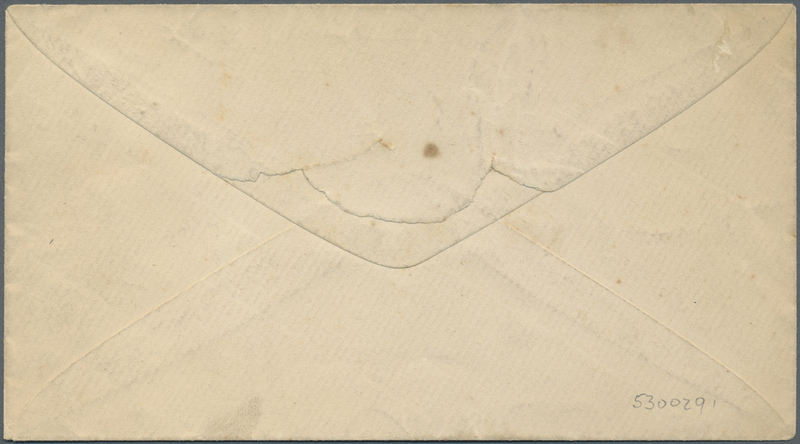 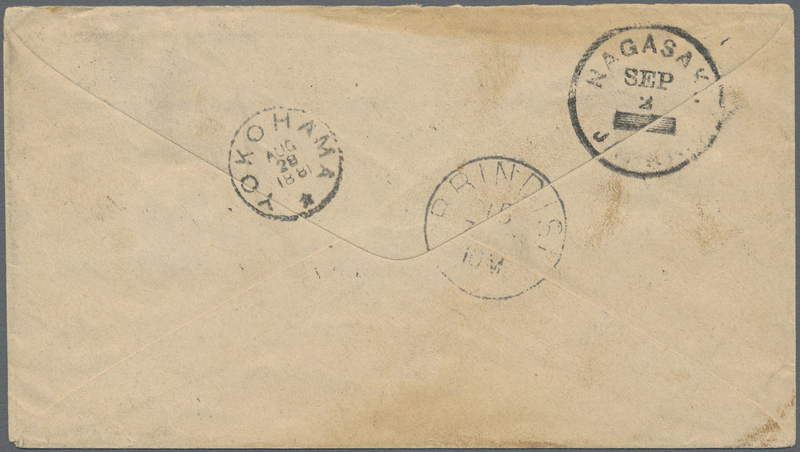 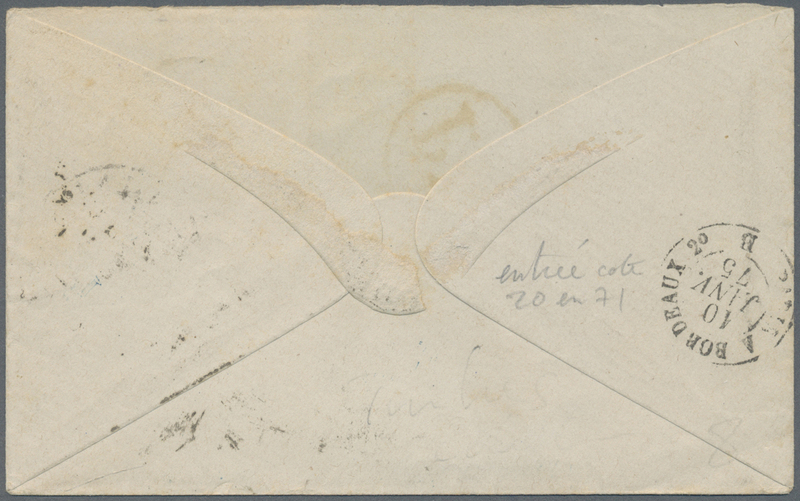 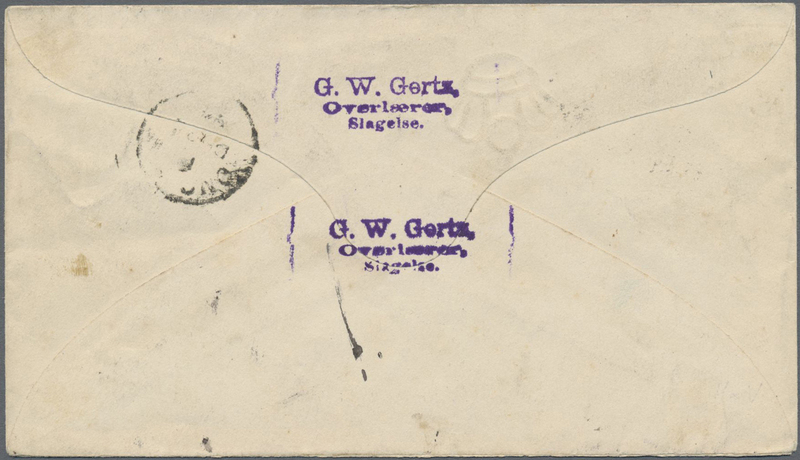 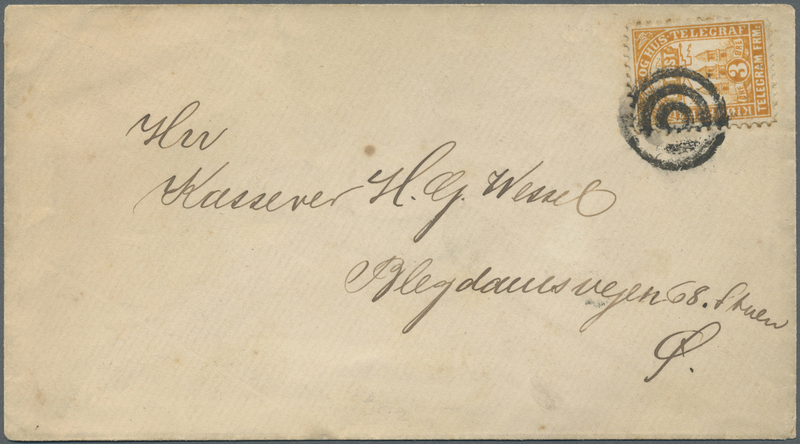 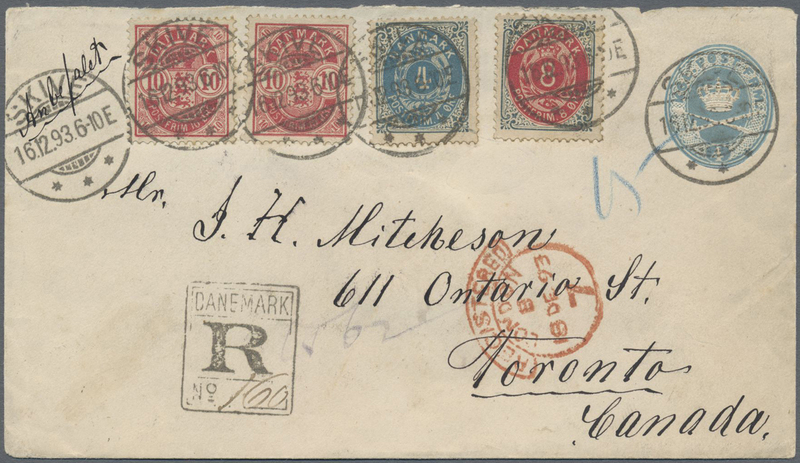 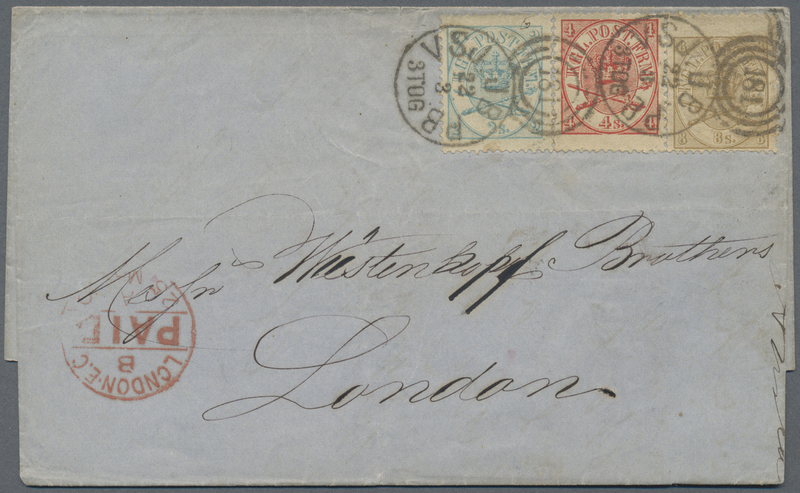 A scarce and attractive franking. 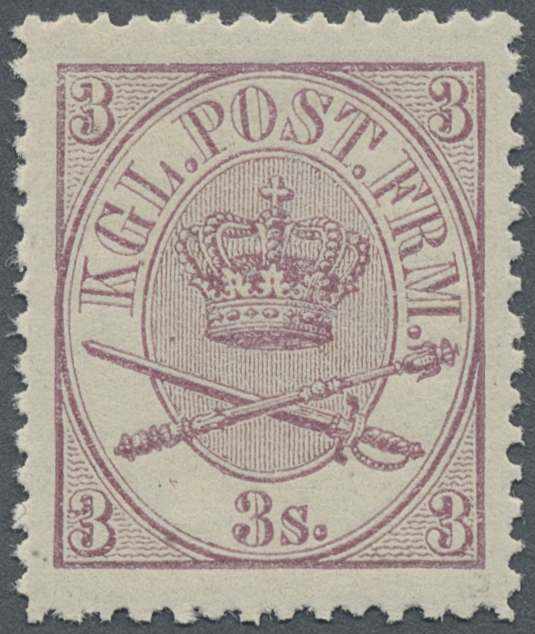 15343 ungebraucht (hinged) * Facit 12 b 1864, 3 Sk lilac, 2nd printing, perf. 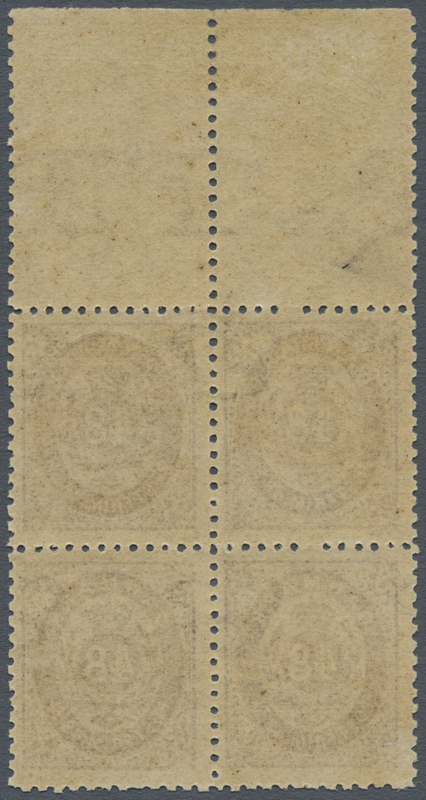 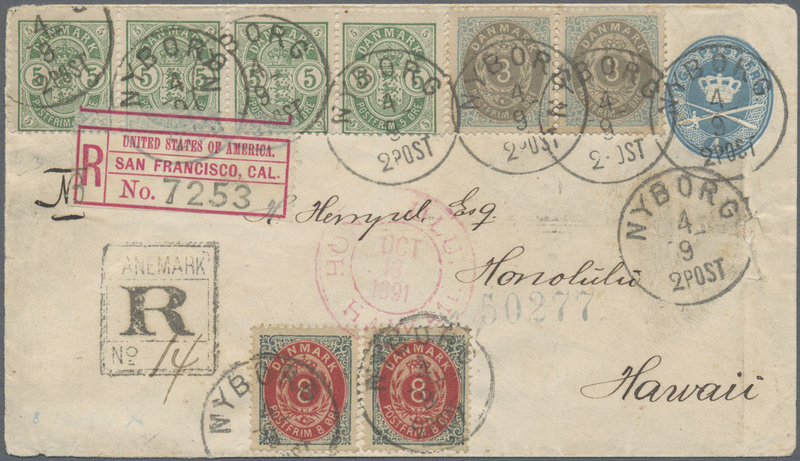 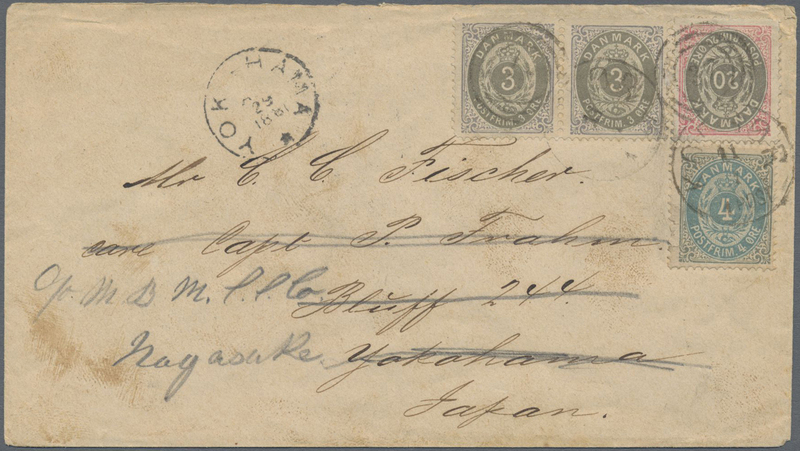 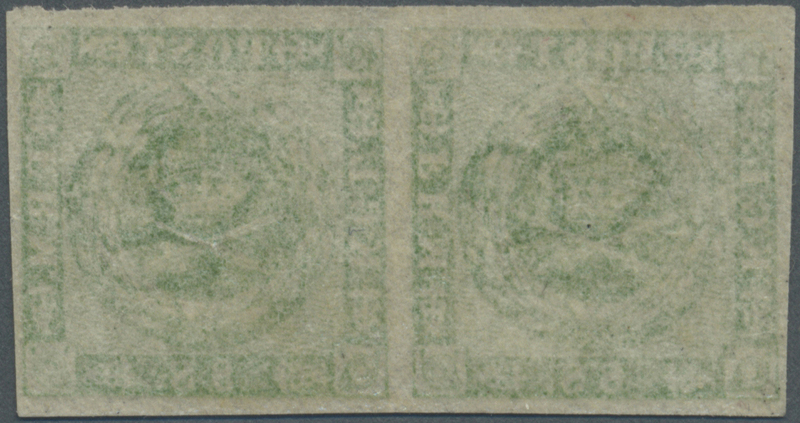 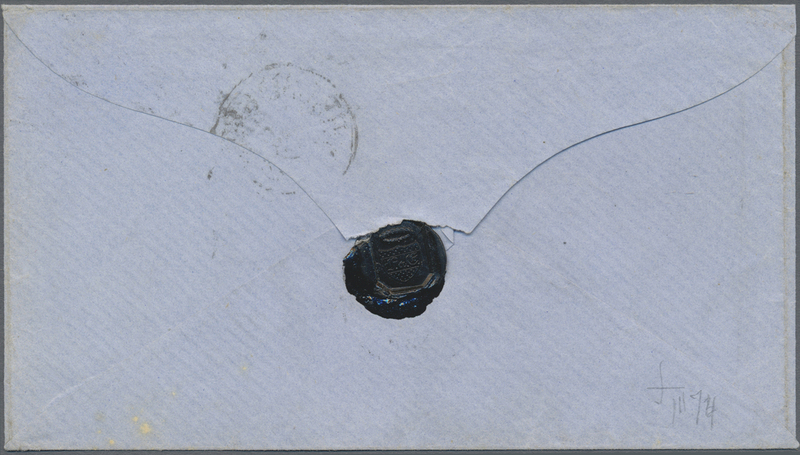 13 : 12 1/2, mint lightly hinged, perfect perforation and XF centration. 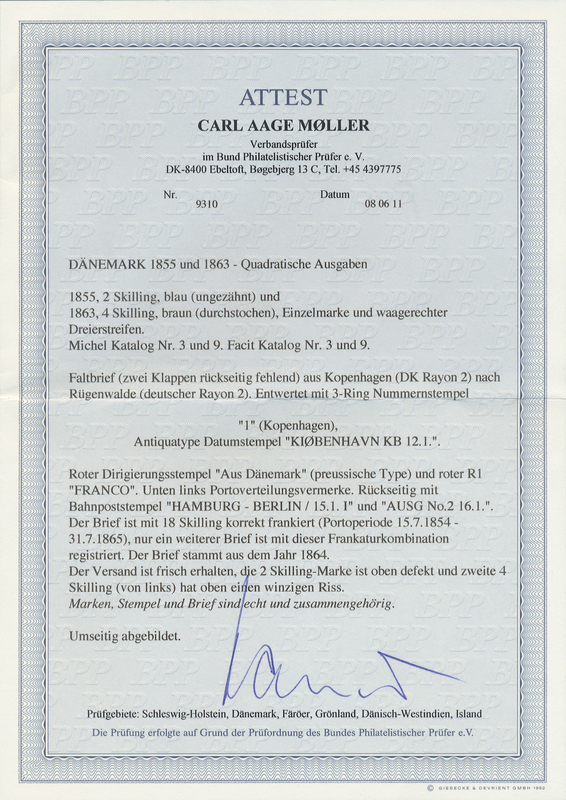 Photo expertized Möller "Pragteksemplar". 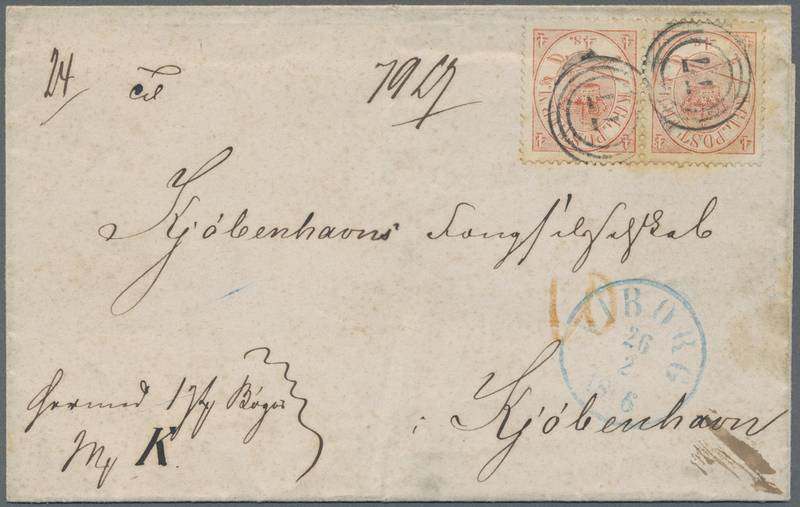 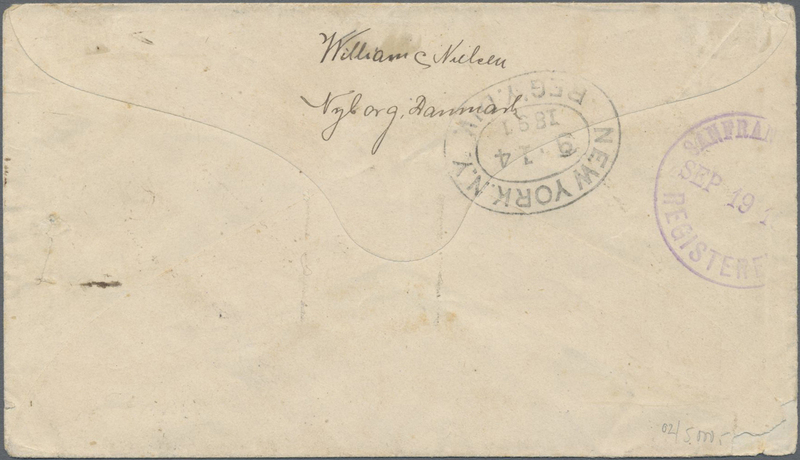 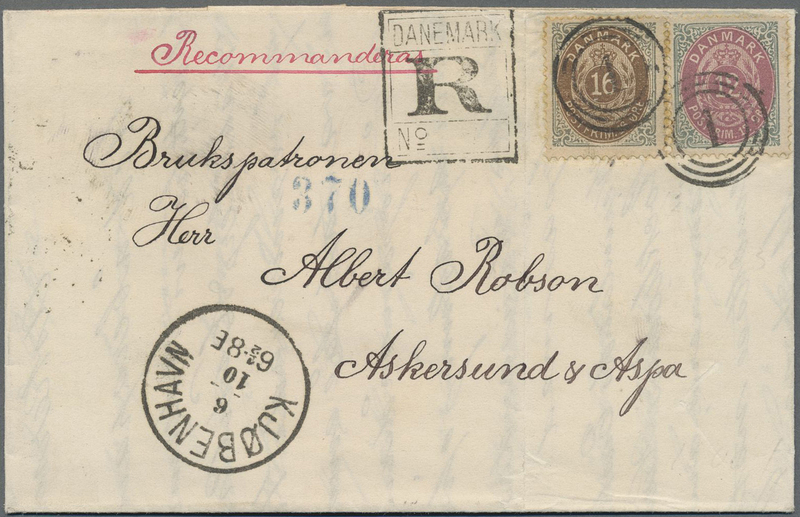 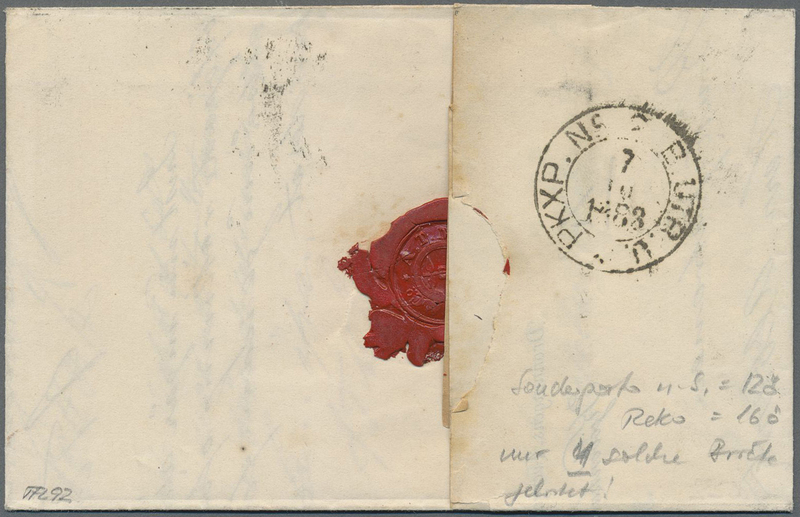 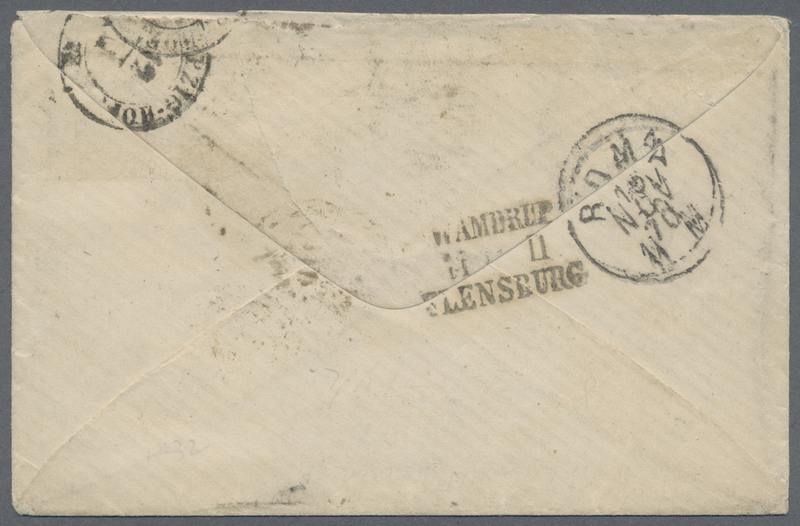 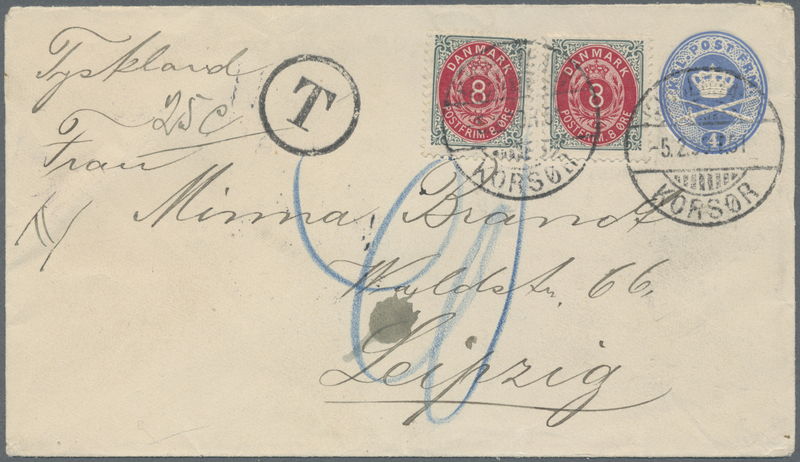 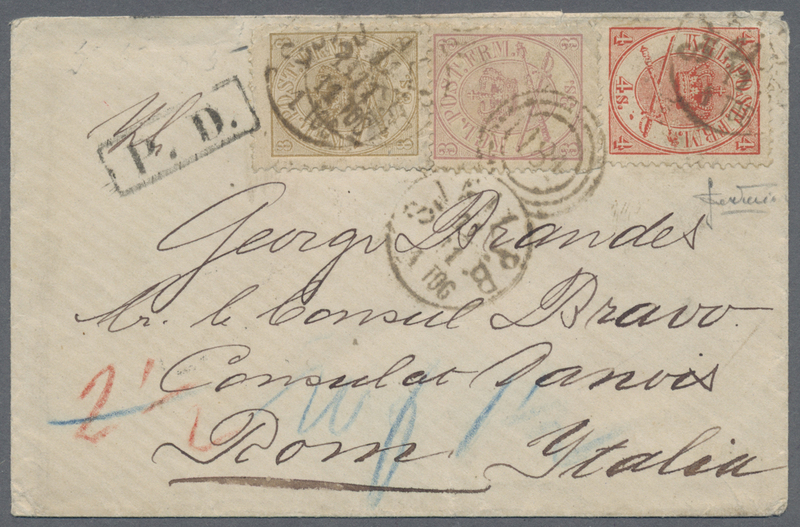 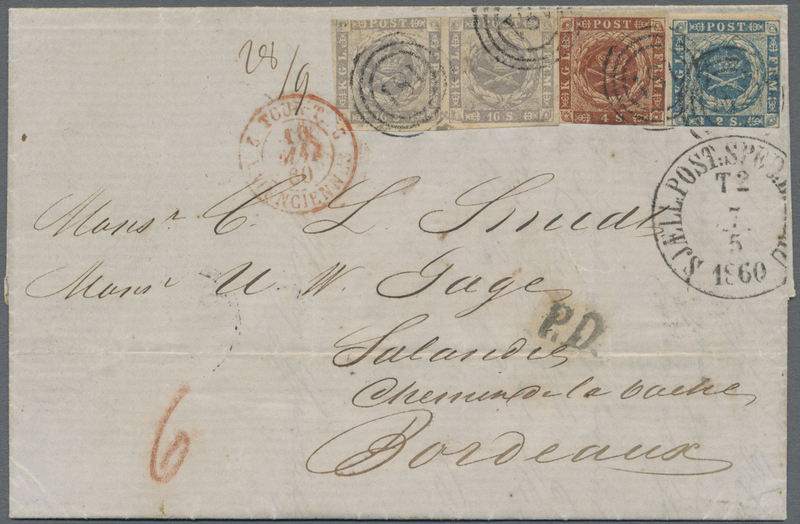 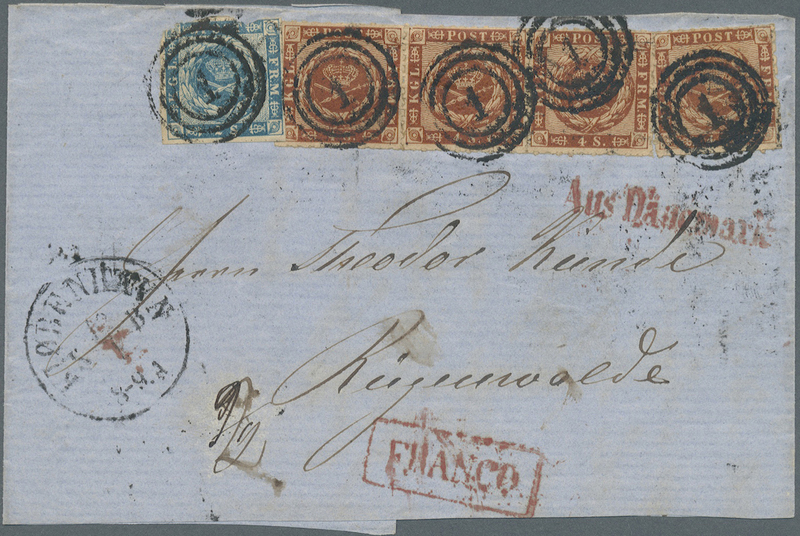 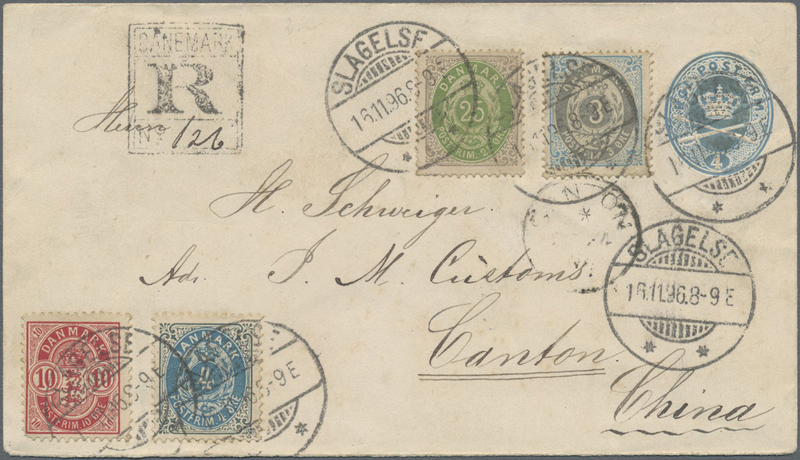 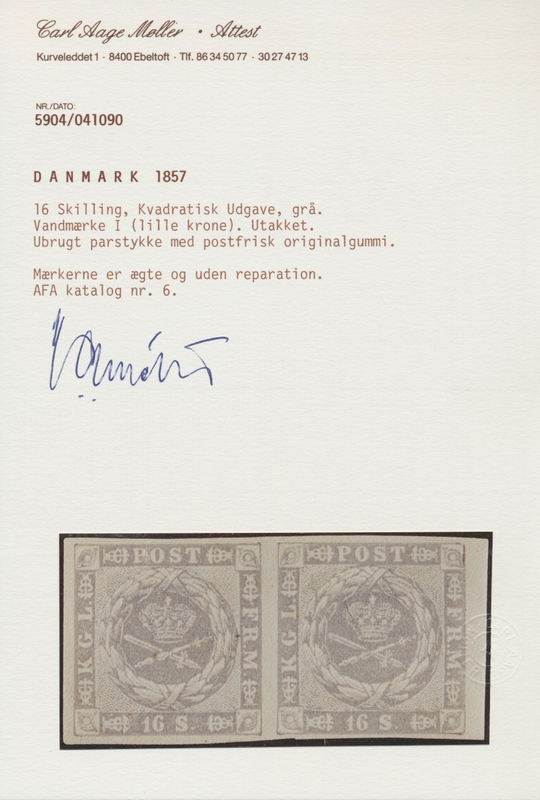 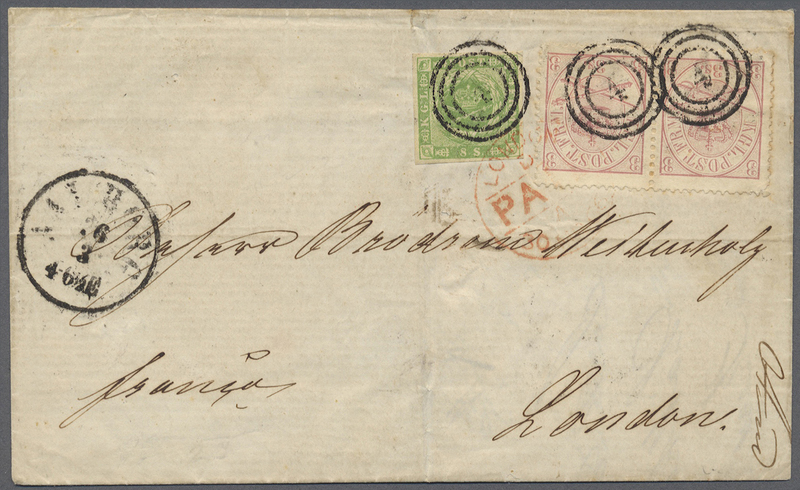 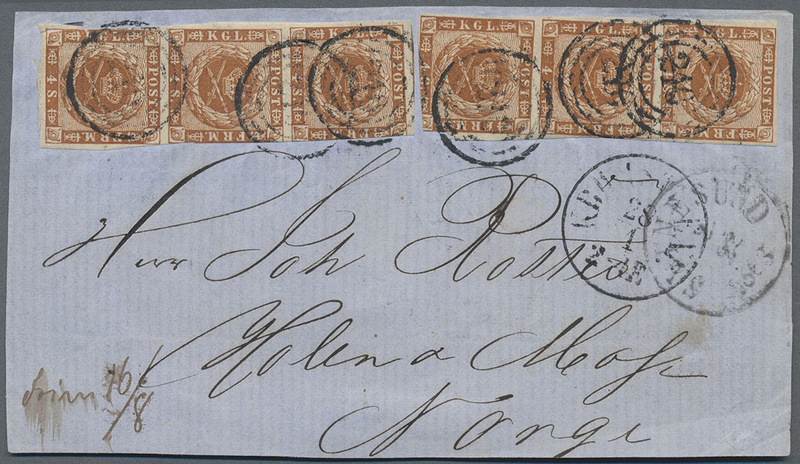 15350 Brief (cover) 1881 Copenhagen CITY POST 3 øre orange used on local cover with the mute three-ring canceller, fine. 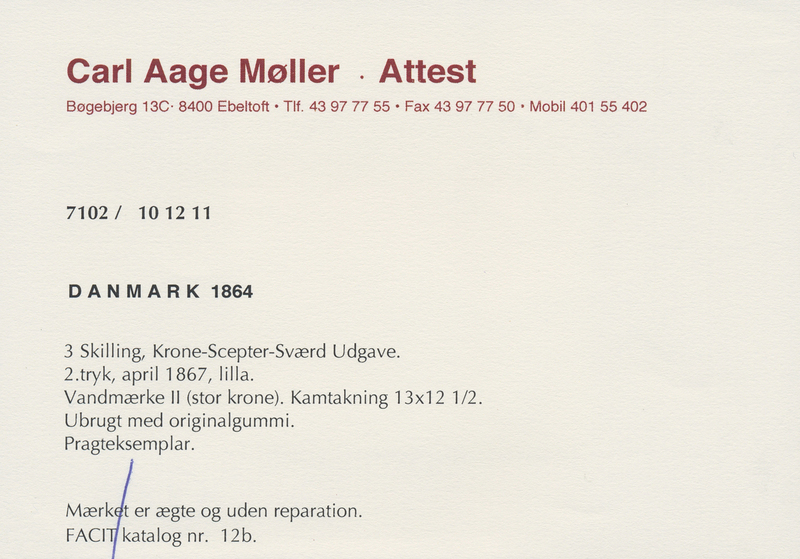 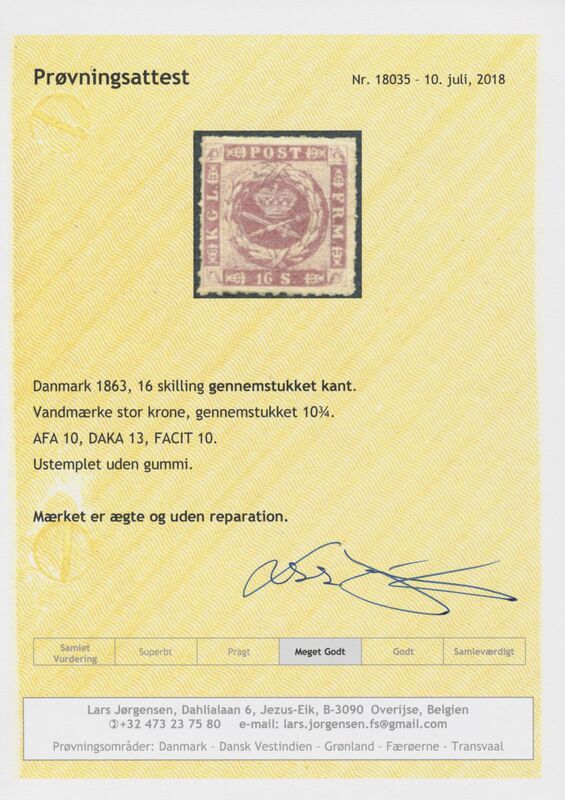 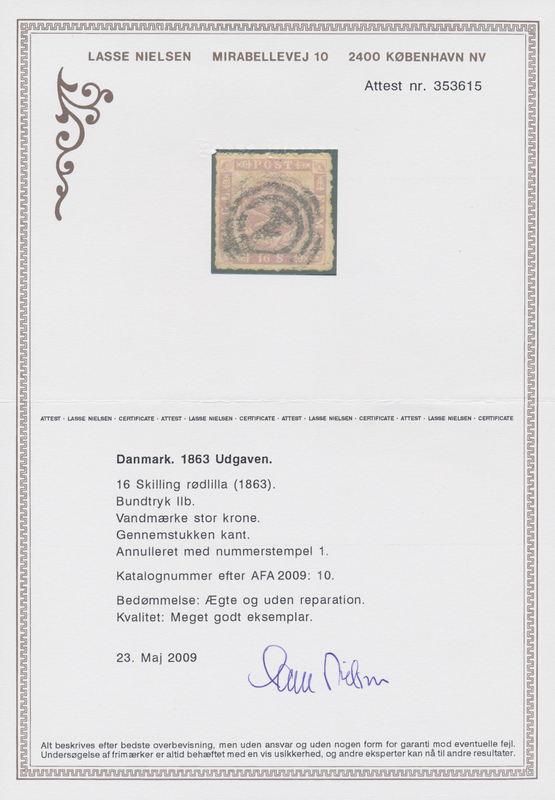 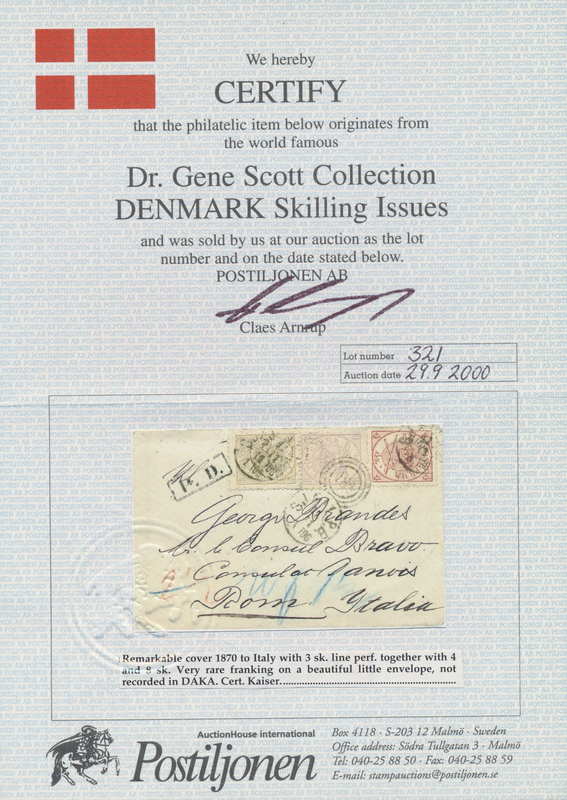 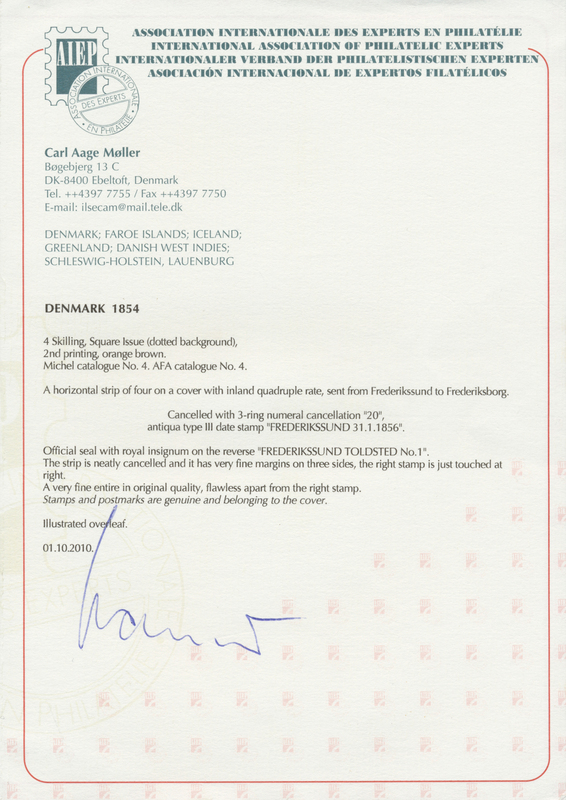 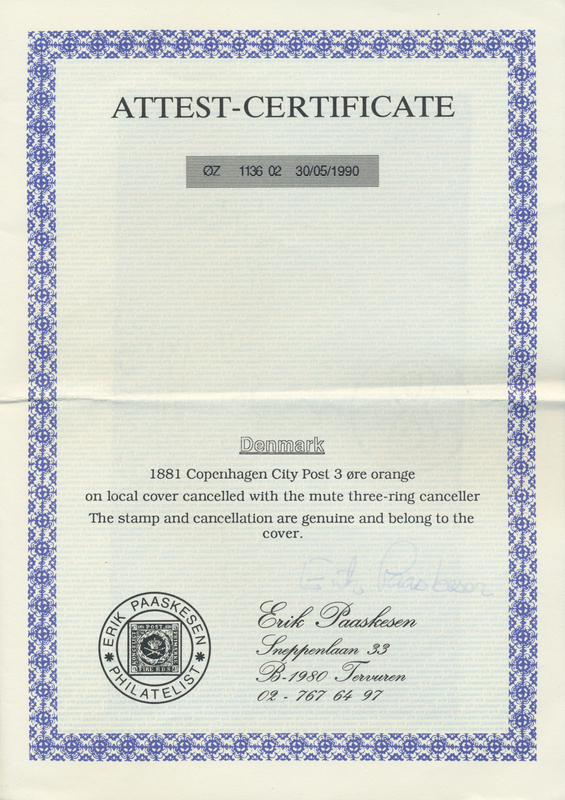 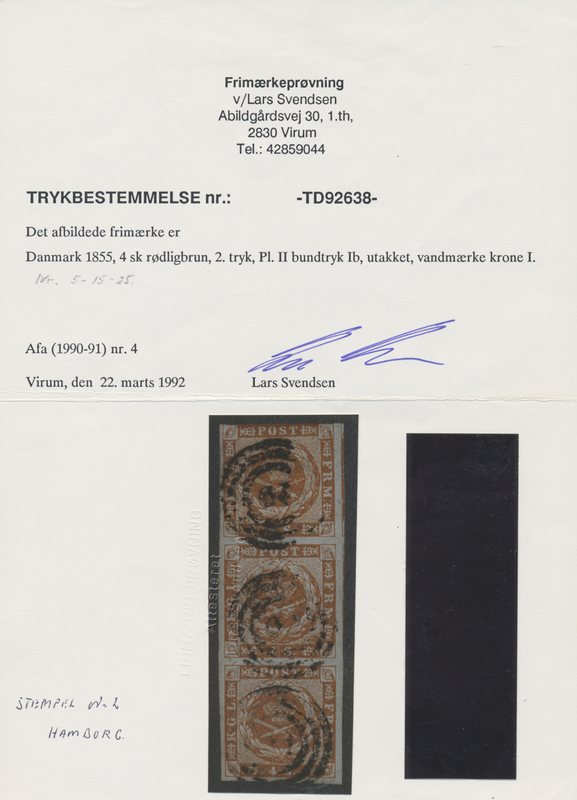 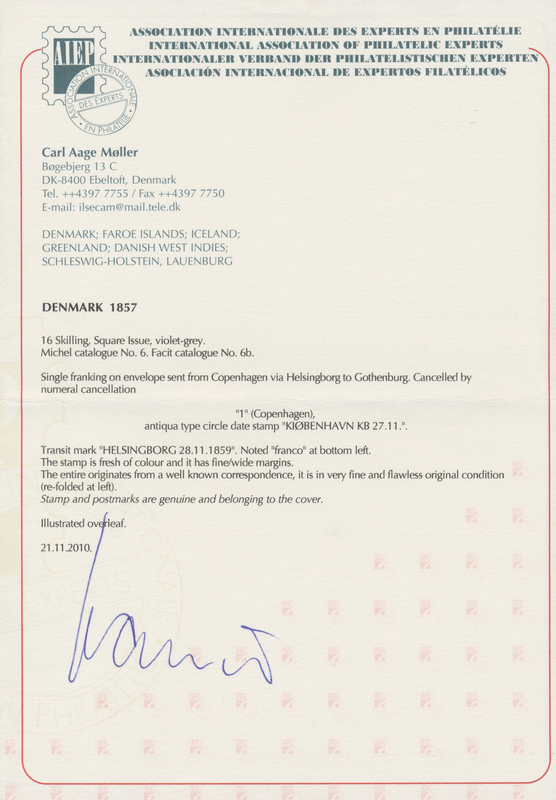 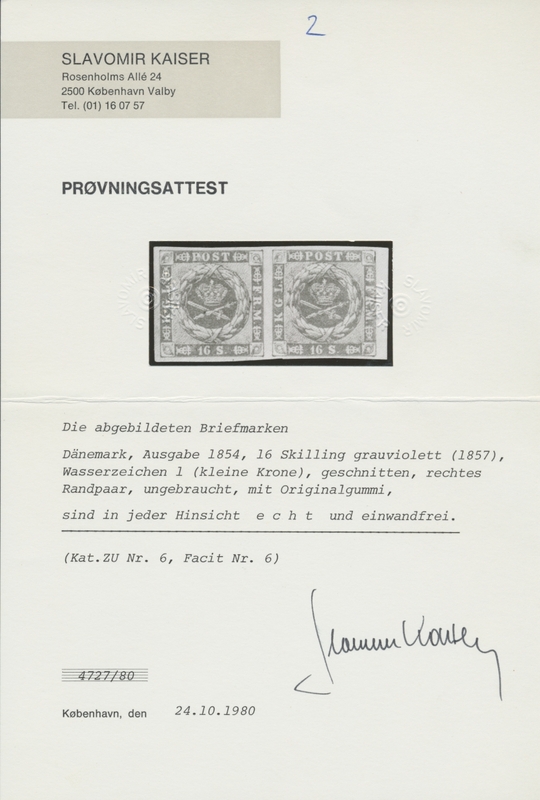 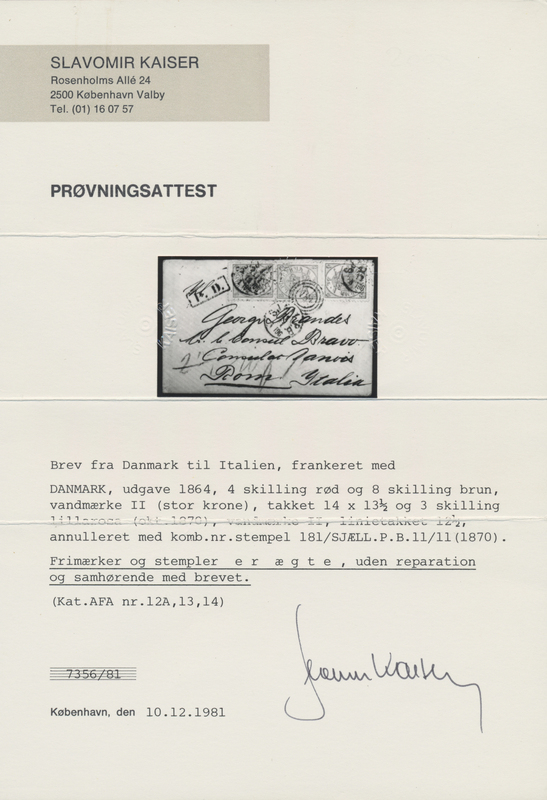 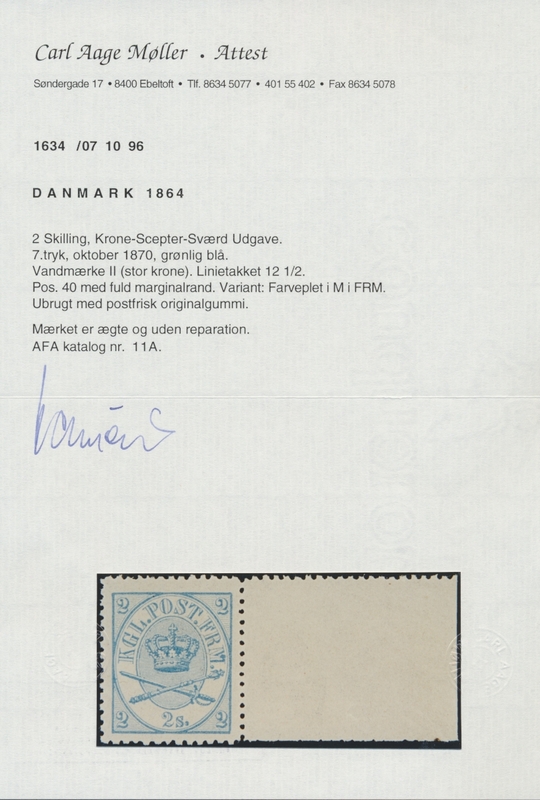 Erik Paaskesen 1990 certificate. 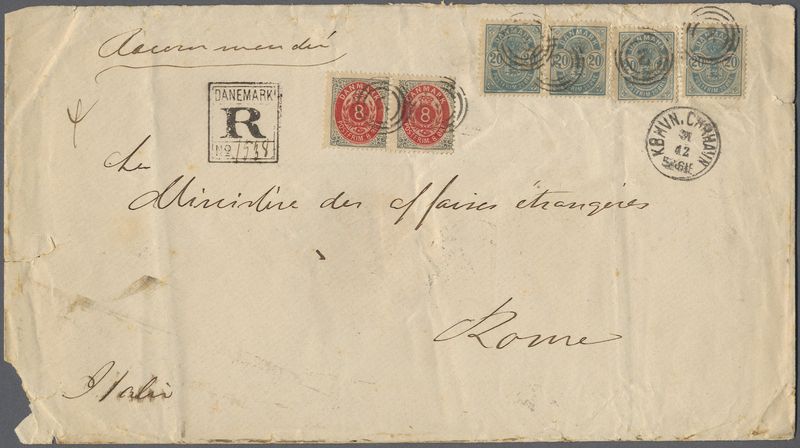 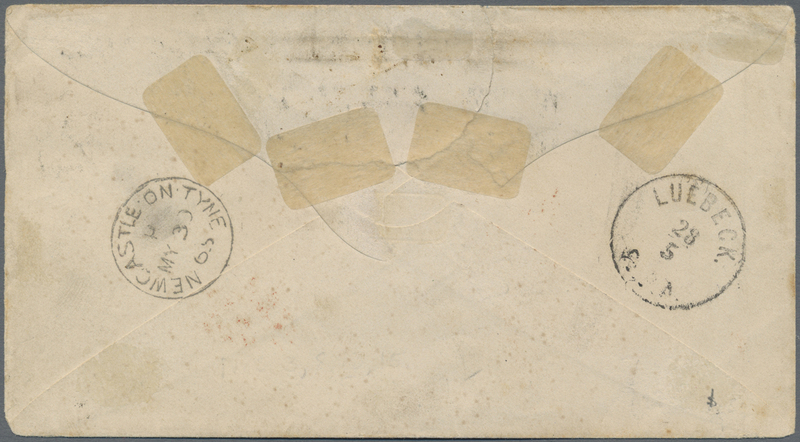 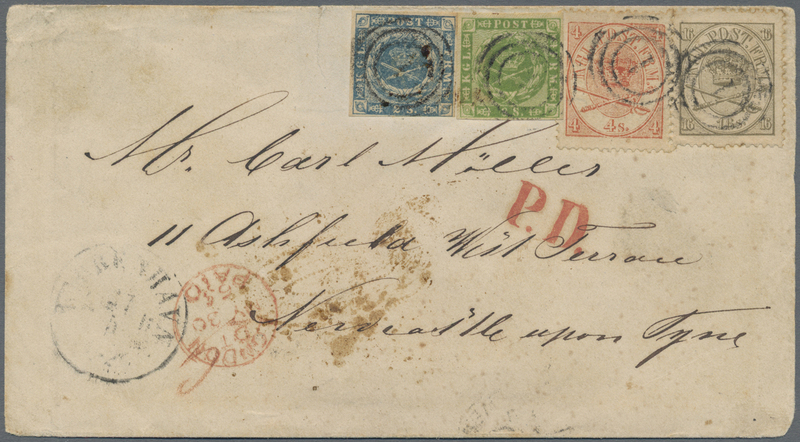 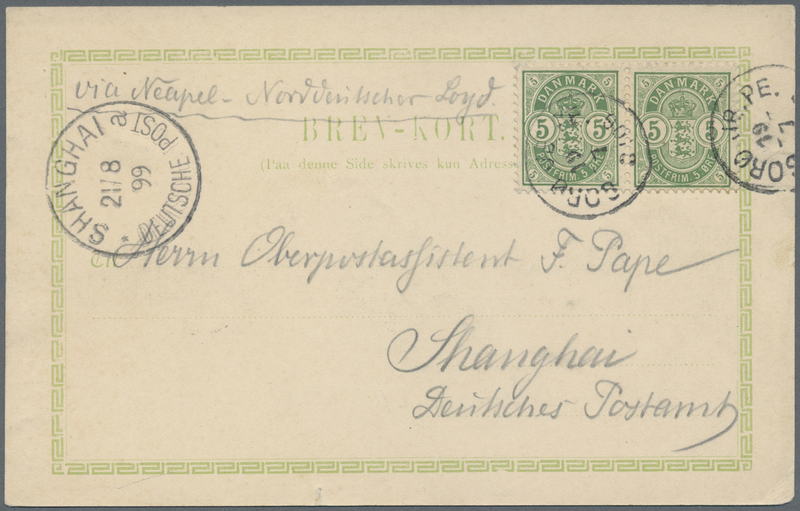 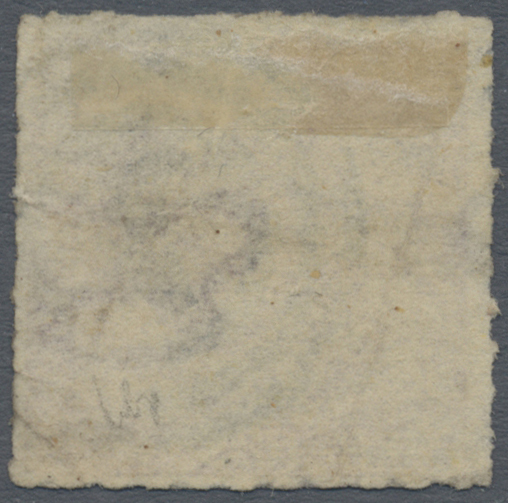 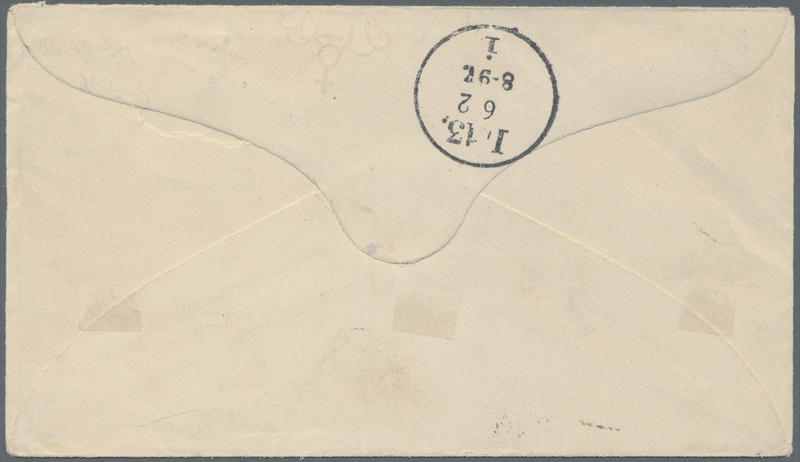 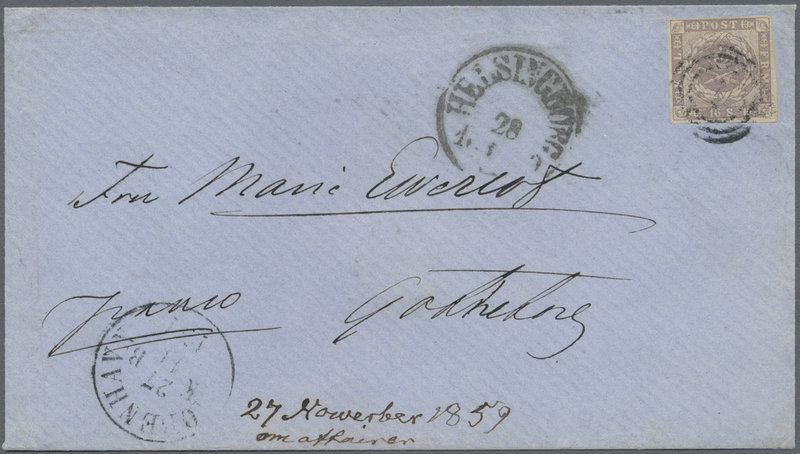 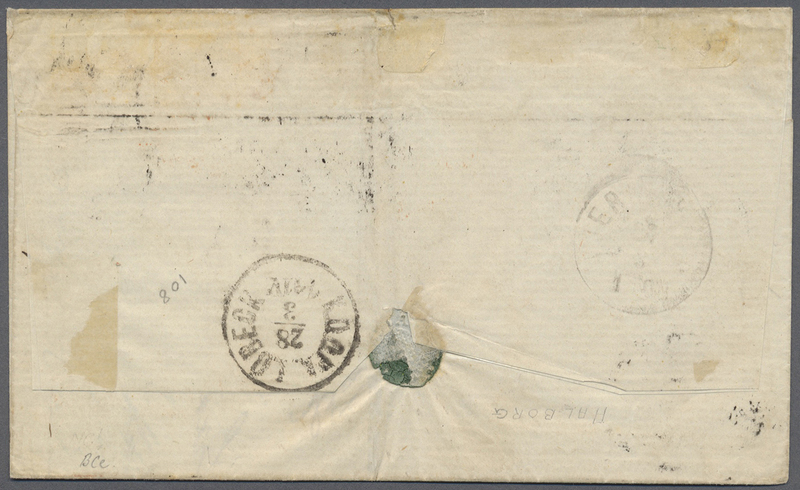 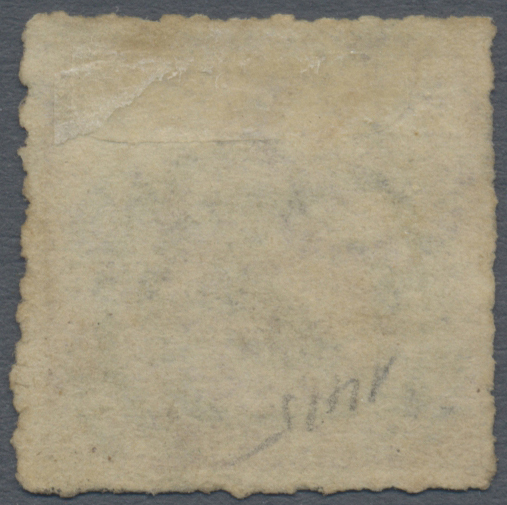 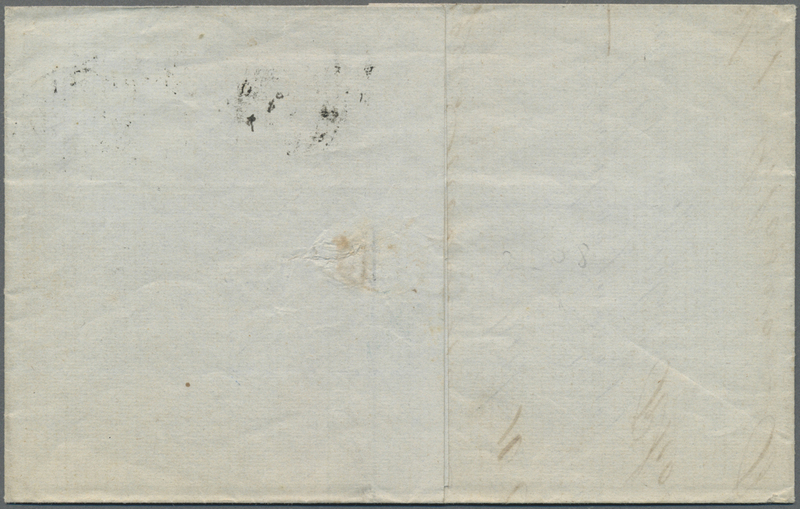 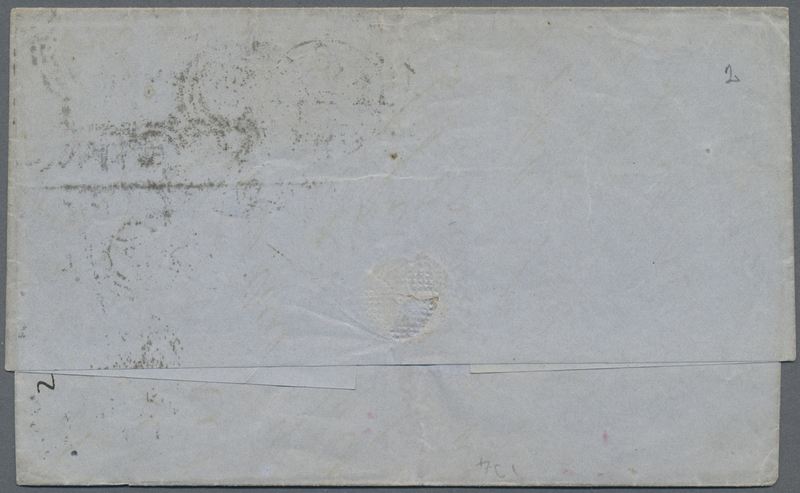 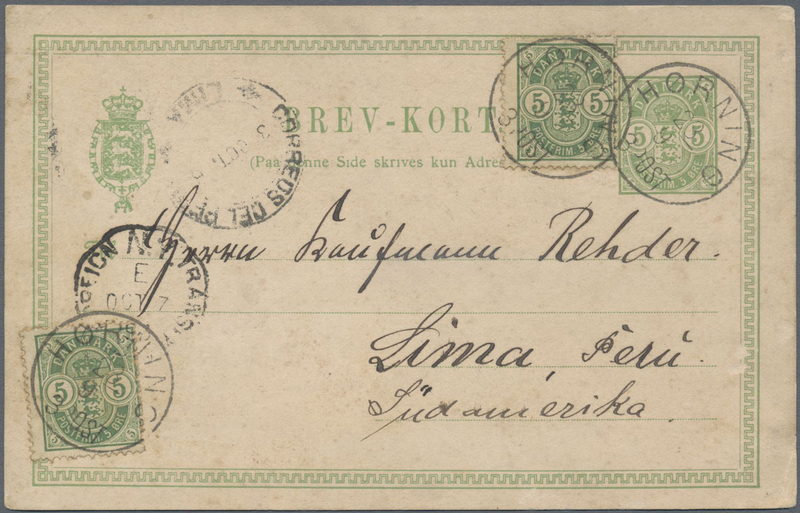 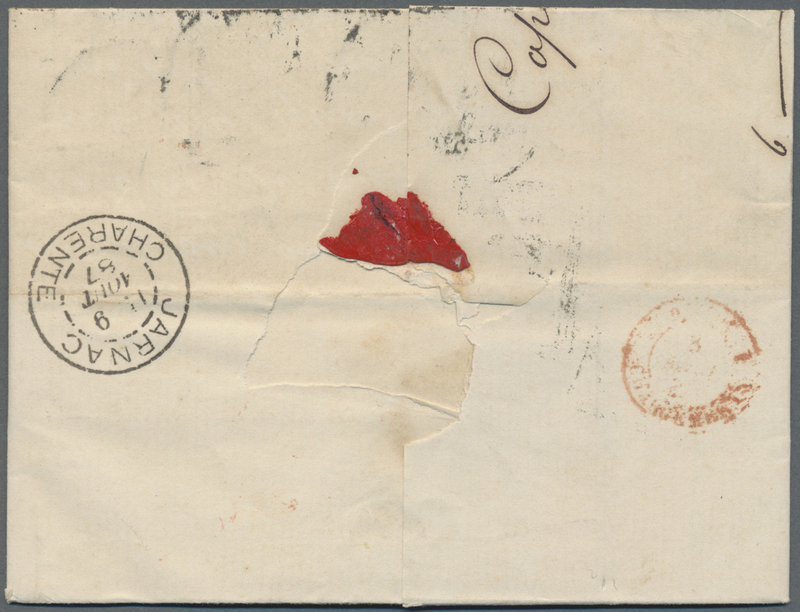 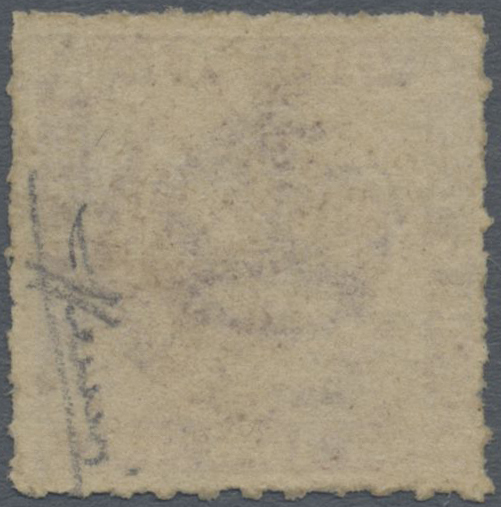 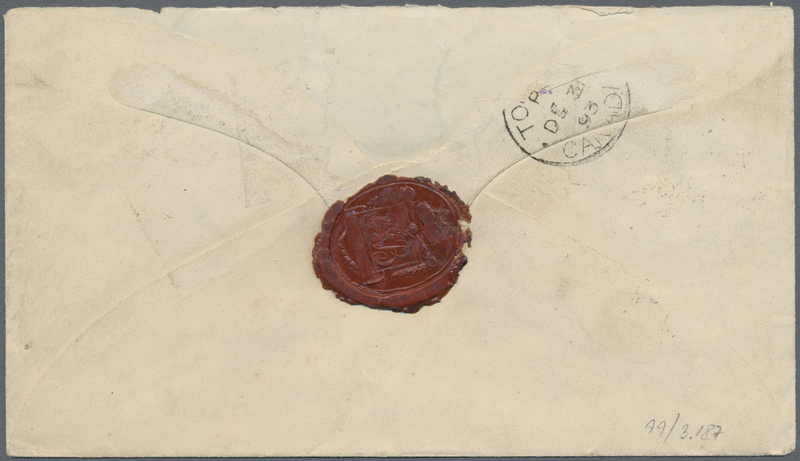 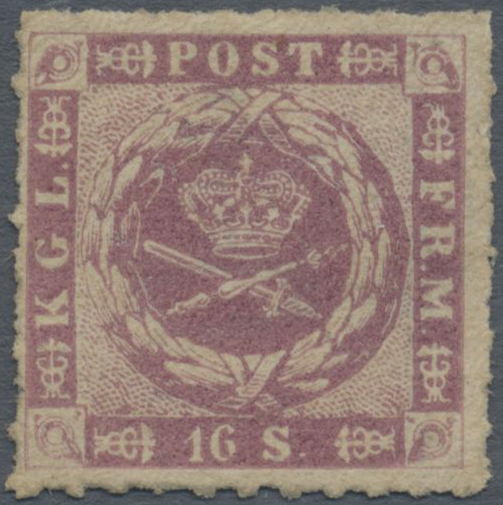 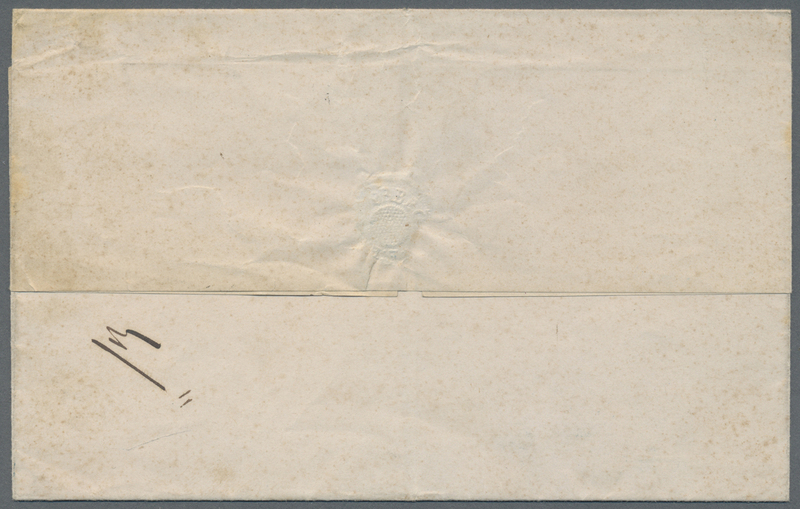 15361 Brief (cover) 1887. 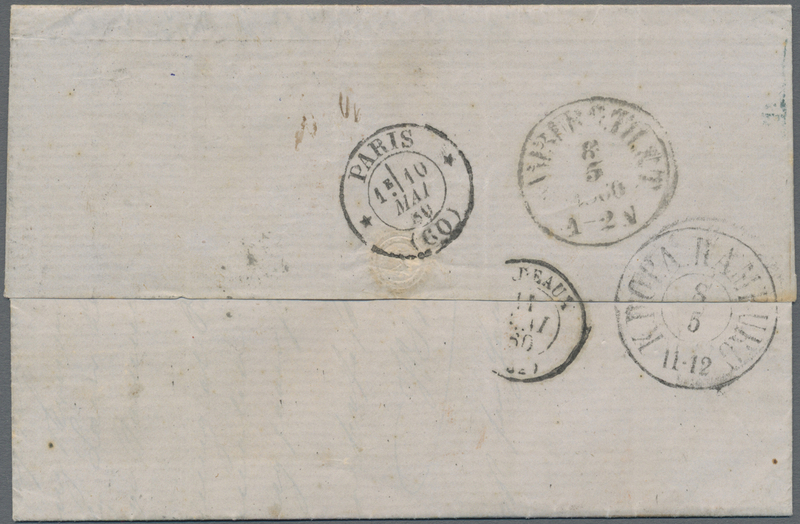 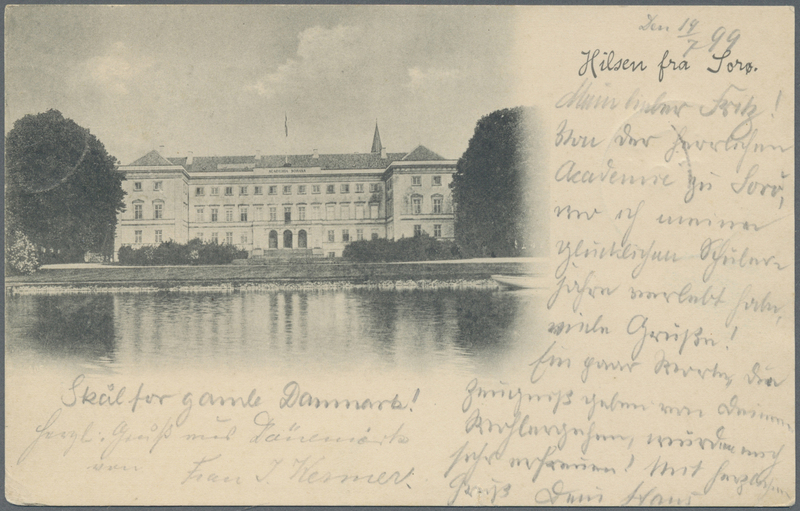 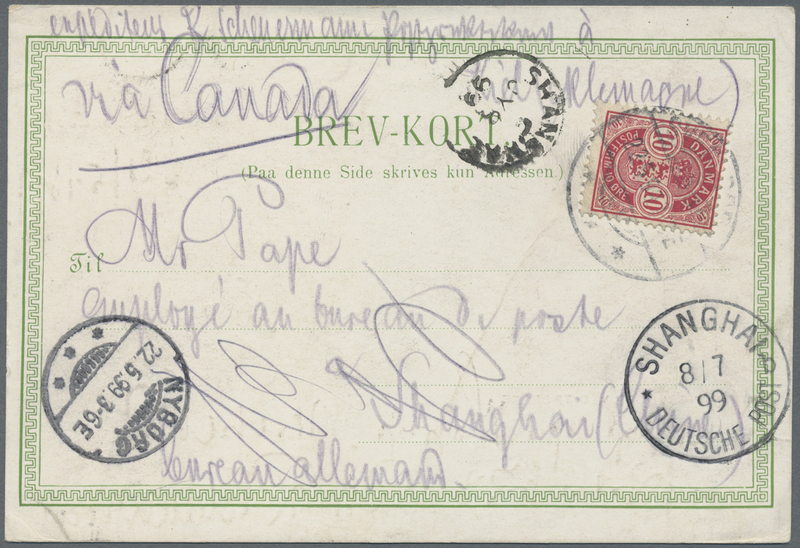 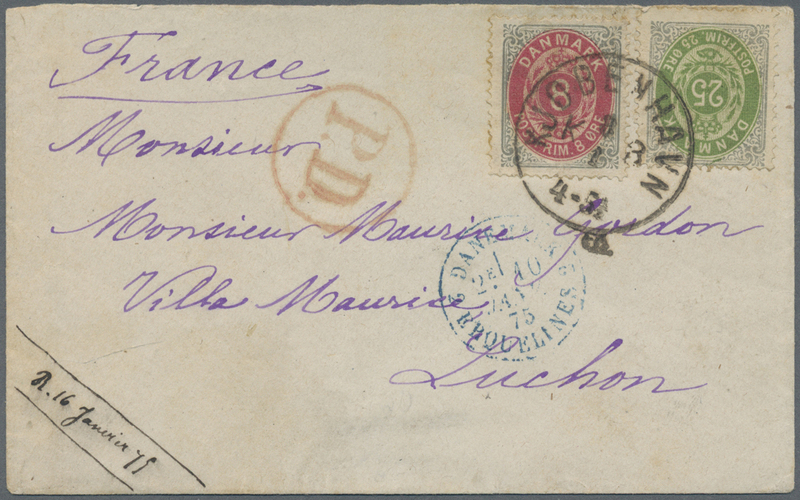 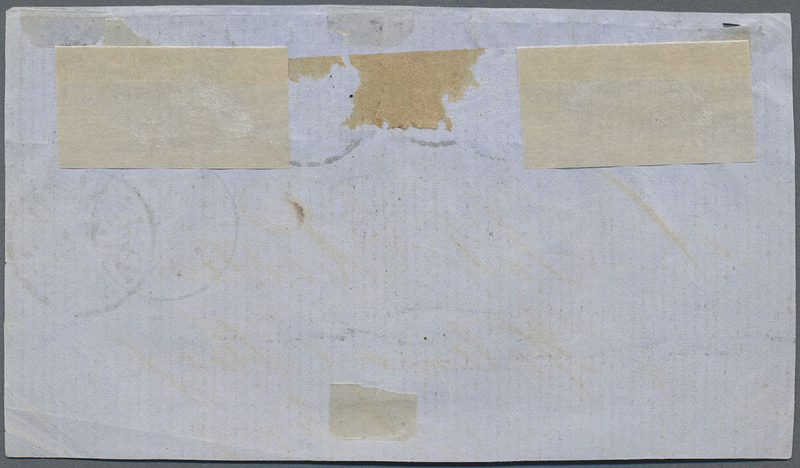 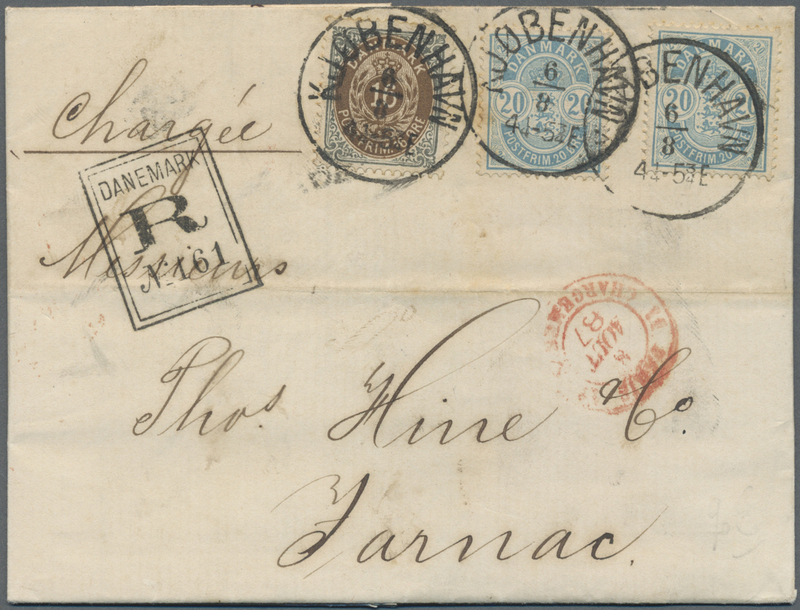 Registered envelope addressed to France bearing Yvert 26, 16o grey and brown and Yvert 37, 20o blue (2) tied by Kjobenhavn date stamp with boxed hand-struck 'Danemark/R' with m/s 'Charge', French entry cachet and Jarnac arrival. 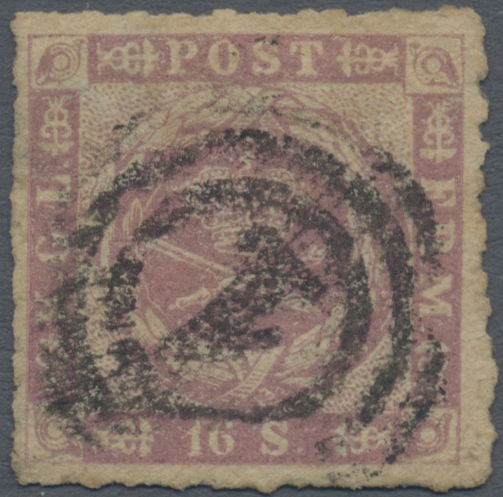 Nice mixed issue combination.